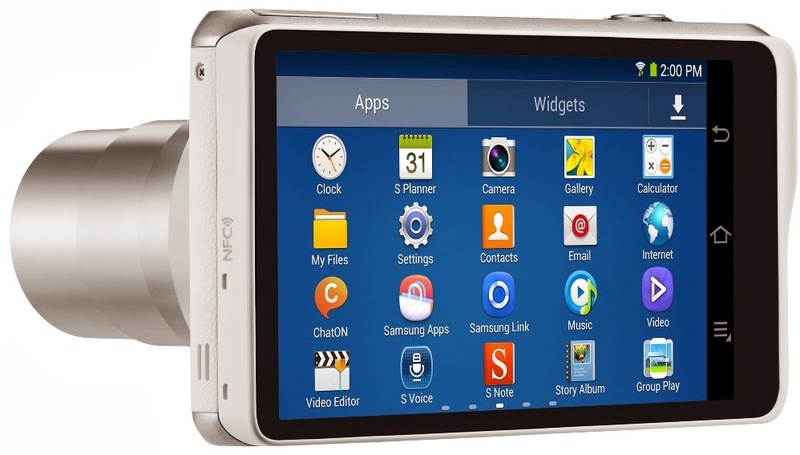 Ahead of CES 2014, Samsung has just unveiled the successor of the Galaxy Camera - the Galaxy Camera 2. The Galaxy Camera 2 comes with a 1/2.3" BSI sensor with 16.3 MP with 21x optical zoom lens with and optical image stabilization. It has a pop-up xenon flash and a dedicated AF light. Galaxy Camera 2 has the same sensor used in the first generation Galaxy Camera. You can shoot 1080p@30fps, 720p@60fps and 512p@120fps video in Galaxy Camera 2 just like the past. The Galaxy Camera 2 employs the same 4.8-inch Super Clear 720p LCD display with 306ppi as the one we saw on the Galaxy Camera. There are also few software and hardware upgrade in Galaxy Camera 2. It comes with a faster quad-core processor clocked at 1.6GHz, doubled 2GB of RAM and doubled 8GB internal storage. A microSD card slot of up to 64GB capacity is there in place. It weighs 283 grams. 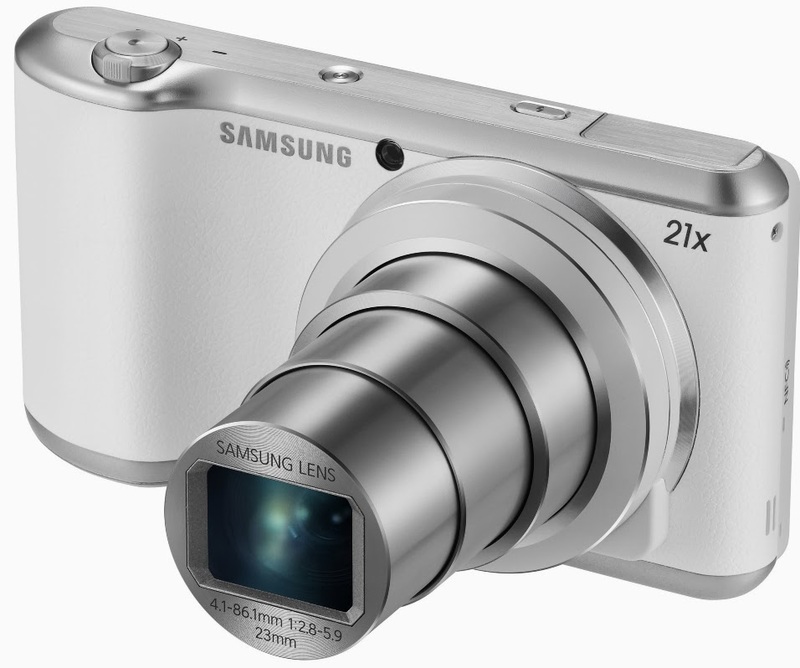 Samsung galaxy Camera 2 will be available in black and white initially. It has the same leather like plastic at front like Samsung Galaxy Note 3. The last of the upgrades brought by the Galaxy Camera 2 are the NFC connectivity, the bigger 2000mAh battery and the newer Android 4.3 Jelly Bean version. Since the Galaxy Camera 2 runs on Android 4.3 and the latest TouchWiz UI, it’s safe to assume that it has Samsung Galaxy Gear compatibility. We hope Samsung develops some kind of a remote shutter app for the Gear to make the two work better together. Unlike the first Galaxy Camera, the new one does not come with a SIM slot, so there is no 3G/LTE network support. There is still no information on pricing and availability, but Samsung will be showcasing the device on CES, so you will know more in a few days.